All the kids I’ve hung out with have taken to the outdoors like they were born to it. (Weird, I know.) They look at things, as questions, and think. These people know stuff about an area that we, as visitors, don’t. They often have a table, booth, or class to attract interest. They generally enjoy interacting with the public. And even if your little angels are acting more like little devils, kids are less likely to be horrible to strangers. 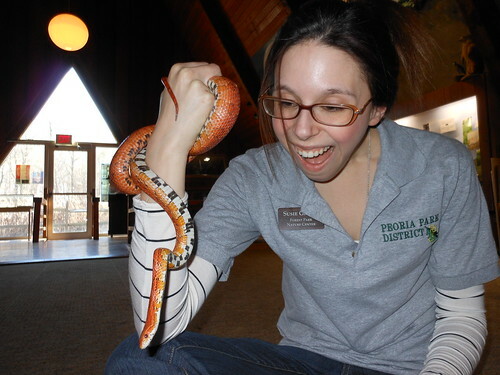 Getting face time with a snake. Boo loves the snakes. 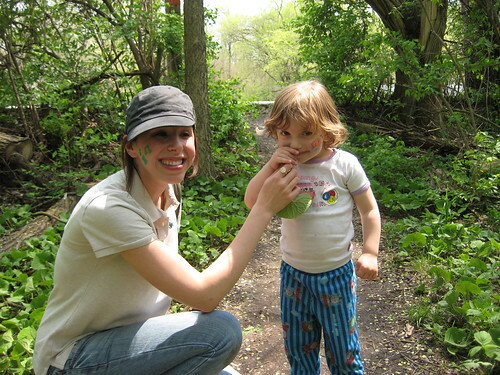 A chance encounter on the trail during the Earth Day festival resulted in smelling wild ginger and tasting invasive garlic mustard. 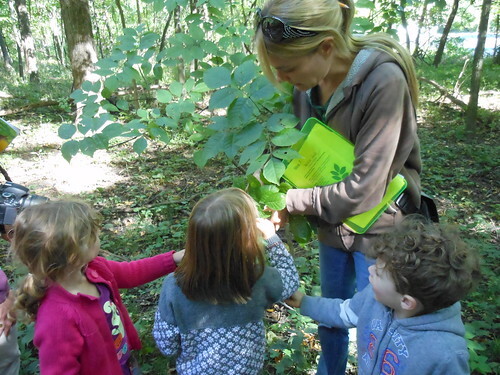 A kids tree ID hike. Discussing rattle snakes and other natural hazards in San Diego. I enjoy the outdoors more when I am more informed about the interesting things where I am. Turns out kids do, too. I highly recommend finding one. 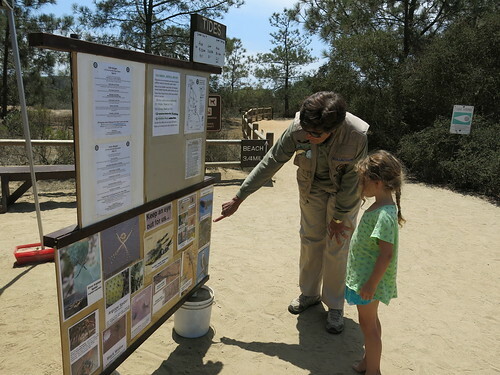 Do you take advantage of naturalists and docents?